You?re blushing! The Wet n Wild Color Icon Blusher is a silky-smooth powder that strikes the perfect balance between a blendable transparent sheen and a radiant pop of maximum color. This blush is lightweight, long-lasting, and certain to impress. Note: Wet n Wild is a Peta-certified, cruelty-free brand.Though not 100% of the products are vegan, but the brand is striving towards making them all vegan friendly! Wet n Wild is a Los Angeles based company bringing to you stunning range of cosmetics with high-performance formulations all available at unbeatable prices.Since 1979, millions of women around the world have trusted wet n wild in delivering prestige-quality cosmetics in trendy colors.Avail hottest makeup picks, get the latest beauty inspiration with on-trend wet n wild palettes, lip colors, foundations and much more to get flawless makeup looks all the time! Explore the entire range of Blush available on Nykaa. 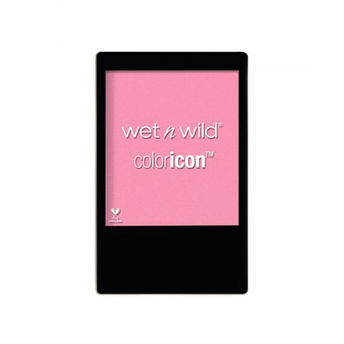 Shop more Wet n Wild products here.You can browse through the complete world of Wet n Wild Blush .Alternatively, you can also find many more products from the Wet n Wild Color Icon Blush range.